Social Inclusion for all is a project we have set up to reduce social isolation for the individuals we provide services for and to ensure they have access to community links. We understand that there is an opportunity for us to have a positive impact on the reduction in social isolation and help to increase the confidence of individuals. Older people are particularly vulnerable to social isolation and loneliness which can be attributed to the loss of friends, family, mobility or income. Social isolation and loneliness can have a detrimental effect on health and well-being. Studies have shown that being lonely or isolated can adversely impact on an individual’s blood pressure and is closely linked to mental health issues and depression. This has direct cost implications for health and social care services. The range of interventions for alleviating loneliness and social isolation can be grouped into one-to-one interventions, group services and wider community services. The project not only addresses social isolation, but also promotes the wellbeing of local residents we provide care services for. A key part of our project is to facilitate a series of events within the local community to socialise the service users in an informal environment. Our aim is to reduce social isolation and motivate our service users to gain more social confidence. We are encouraging our service users to interact with other people and have a positive focus with something to look forward to and break up their daily routine. The focus of our project is to create the opportunity for individuals to socialise, network and hopefully build lasting friendships with other individuals. 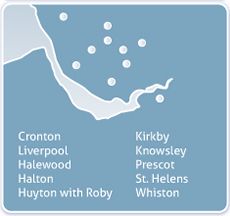 We currently sit on the Knowsley Carers Partnership Board. 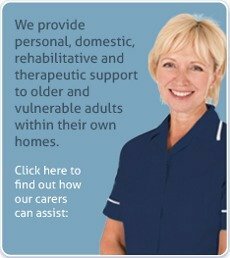 Through our links with the board, we have been successful in securing a one off grant through the Carer Service Fund, this will allow us to continue providing these events but on a larger scale; as well as providing new, innovative and wanted services / support to carers. Future events can be seen within our news section.